Photos by Les Podraza, no reproduction without permission. Trainer was a drama series produced in 1991-2 by BBC London, but hosted by Pebble Mill. The scene crew included Les Podraza. The series was directed by Jeremy Summers, produced by Gerard Glaister and written by Christopher Green. 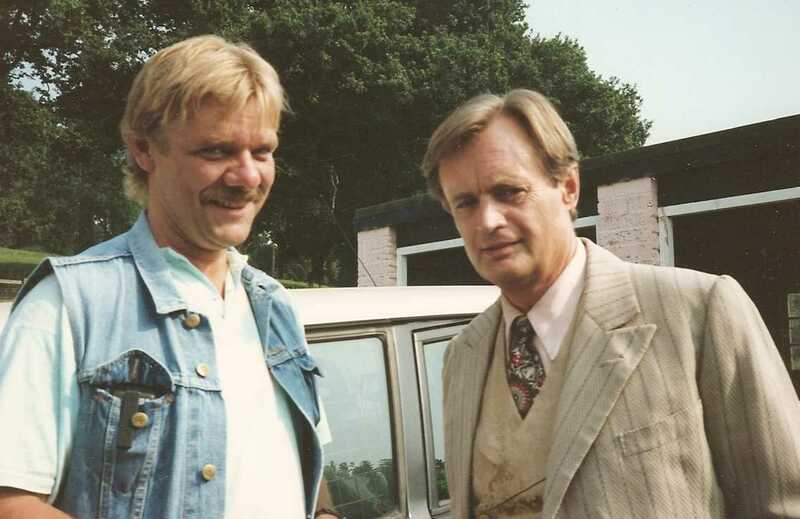 The series starred Susannah York, David McCallum, Mark Greenstreet , Nigel Davenport and Patrick Ryecroft. The cast also included: Des McAleer, Nicola King, Kenneth Farrington, Sarah Atkinson, Floyd Bevan, Stephen Greif, and Tracy Louise Ward. After the end of Howard’s Way, the BBC needed a big drama series for the Sunday evening schedule, and therefore commissioned Trainer, a drama following the life of trainer Mike Hardy (Mark Greenstreet) in his constant battle against his employer and stable owner James Brant (Edward Davenport) and other members of the racing fraternity residing somewhere in the Lambourn Downs.